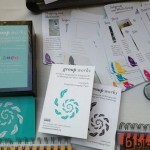 The Group Works card deck, the first product of the Group Pattern Language Project, is now out! You can order copies of the deck, download a free PDF copy and learn about our upcoming mobile/phone app version of the deck on the website, groupworksdeck.org . 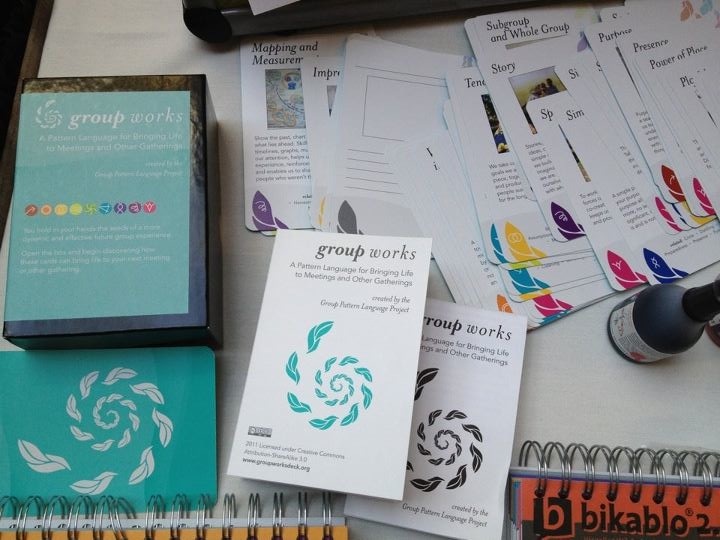 The deck is designed to support your process as a group convenor, planner, facilitator, or participant. The developers spent several years pooling our knowledge of the best group events we have ever witnessed. We looked at meetings, conferences, retreats, town halls, and other sessions that give organizations life, solve a longstanding dilemma, get stuck relationships flowing, result in clear decisions with wide support, and make a lasting difference. We also looked at routine, well-run meetings that simply bring people together and get lots of stuff done. 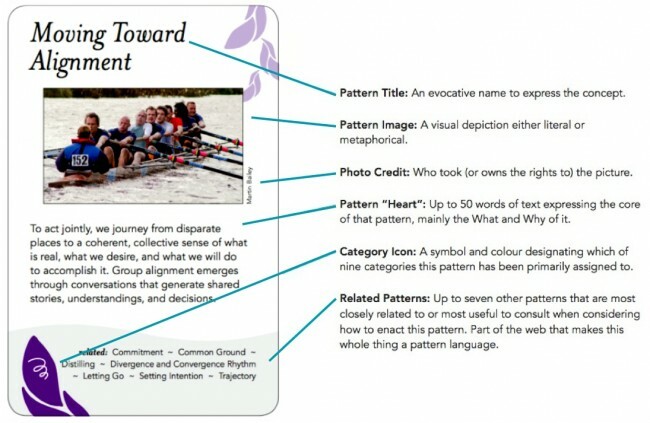 The deck consists of 91 full-colour cards (plus a few blanks to add your own patterns), a five-panel explanatory category/legend card, and an accompanying booklet explaining the purpose and history of the project and suggesting uses for the cards in group process work. These cards are yours, of course, to use in whatever ways make sense and work for you: in the workplace, in design and preparation of facilitated events, as a learning and teaching tool, for reflecting on how an event went, or just for fun. The website and booklet explain some of the ways they have been used by facilitators and students so far, to give you some ideas to get started with, and we invite users to share their experiences and stories with us.